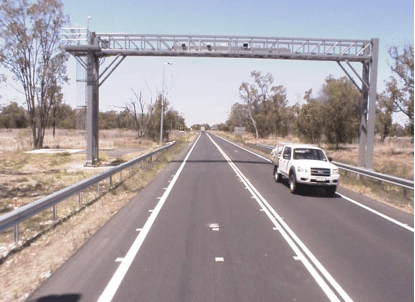 the Proposed installation of Heavy Vehicle point-to-point average speed cameras and associated infrastructure on the Great Western Highway which isn’t exactly what the community has asked for. Is it necessary to place such an industrial strength structure so close to our iconic Historic Village? 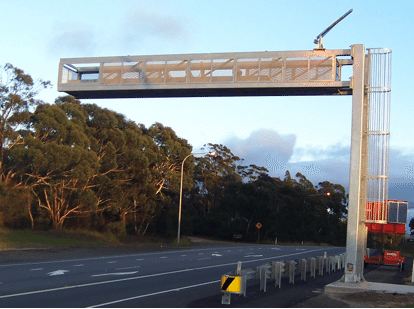 The community has until 15th August to make submissions to the RTA/RMS about its feelings about these gantries and their proposed positioning. As residents and long term admirers and supporters of our wonderful Hartley Heritage Village we wish to very strongly object to the placement of a Heavy Vehicle Point to Point Speed Camera so close to our village. These cameras are vital to road safety but surely a better location could be found further away so as not to deface this beautiful and historical part of our heritage. The petition can be downloaded to your computer and printed out for you to sign and encourage your neighbours to sign. They must be returned to the RMS by 15th August. Sure we want it safer! We’ve been asking for these speed cameras for a long time; but does it have to be so much uglier to achieve this extra level of safety? It’s the positioning and size of the gantries that is the concern here. AJ’s idea of cladding them in a natural material like sandstone is a great one. It could be a real feature. They could also disguise mobile phone towers as trees as they do in Europe. That would help too. It wouldn’t stop the radiation, but they wouldn’t look so bad! I like AJ’s suggestion. The highway is a blot on the landscape as it is. Do we want it safer? I would hope so. If these structures save even one life, surely they are worth it. That life could be yours or one of your loved ones. Keep fighting against trucks on the highway by all means! But meanwhile…safety first. Yet again more confirmation of infrastructure that this highway is designated for large vehicle transport. It’s already a nightmare safety wise, contact council for support with RMS, good luck with this! The community really has no idea of future plans, maybe another Hunter Valley mining mecha. Sad I know, we pay our taxes to support … who? They could cover it with sandstone cladding and make it look like a grand archway with “Welcome to Hartley” carved into it.